My Comment: This is a big endorsement. It doesn't come with any PAC money however as far as I can determine and it is almost too late in the game. 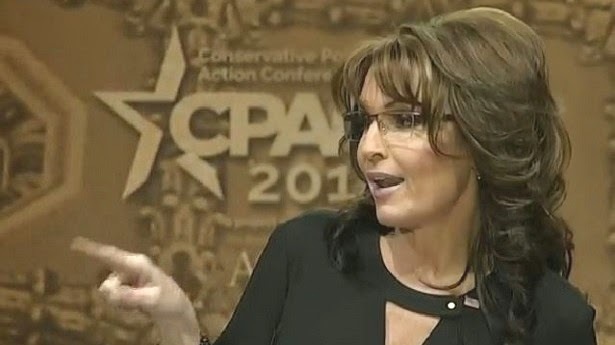 Still, Sarah Palin carries a lot of weight with some Republican primary voters. If Carr is smart he will use this endorsement for all it is worth. If this is endorsement is widely known, it could help Carr. I still think Lamar is safe, however. I am sure the Lamar camp is carefully watching the polls and I would assume that if Carr looks close to pulling an upset, the Lamar camp will go negative on Carr. If that happens then I think Carr's poll numbers will drop like a rock. I think the more people know about Carr, the less they will like him. Also, even if Carr is rising in the polls, early voting has already happened, TV air time has already been purchased and there are only 13 days until the primary. I am still betting on Lamar. It's easy to bet on the favored horse in a race, however they often don't finish 1st. The people of Tennessee are ready to send Lamar home for his liberal voting record. BTW, where is Lamar??? Why does he only attend $1000 a plate events? I don't think the BBQ in New Tazewell was $1000 a plate! This is the most important point in his post: " I think the more people know about Carr, the less they will like him." Quit making up stuff about Lamar. "I think the more people know about Carr, the less they will like him." I think you are mistaken!